According to the recent European State of Water report from the European Environment Agency, nearly two thirds of European rivers are in a bad ecological state. One of the biggest threats to rivers in Europe is hydropower. The first European Rivers Summit in Sarajevo, Bosnia and Herzogovina tackled this issue and discussed solutions. The summit took place from September 27-29th 2018. It aimed at activists, NGO’s, experts, fishermen and river lovers to come together to share experience and knowledge, and create new ideas and networks. In the words of the summit’s flyer: to fight, campaign, and care for European rivers. This first European River Summit in Sarajevo took a closer look on the current situation of European, particular Balkan, rivers. Participants from all over Europe as well as USA presented their approach to stop the destruction of free-flowing rivers. The summit, organised by Riverwatch, opened with a talk on the Blue Heart of Europe by Riverwatch and EuroNatur Foundation. The first day ended with a screening and discussion of Patagonia’s film “Blue Heart”. The second day hosted talks about “Who is financing the dam boom? Banks and state subsidies” by the CEE Bankwatch Network, the impacts of small hydropower plants and the Water Framework Directive by Wetlands International. The third day covered topics such as dam removal in Europe, and the U.S. Wild and Scenic River Act and how to apply it to Europe. Riverwatch also presented an Eco-Masterplan for Balkan Rivers. Several workshops on the presented topics completed the summit programme. A concert to raise awareness of the Blue Heart of Europe marked the end of the summit. The outcome of this first European River Summit was a declaration on the European Rivers Programme 2027, agreed upon by the participants of the summit. It contains a list of demands for the protection of the last free-flowing rivers in Europe. The declaration also includes a call for the restoration of ecologically important rivers and river stretches. These demands serve the successful implementation of the EU Water Framework Directive objectives. “stop promoting and funding hydropower projects as a sustainable source of energy. The declaration further calls on the European Bank for Reconstruct and Development (EBRD), the European Investment Bank (EIB), the Energy Community and state governments. The demands formulated in the European Rivers Programme 2027 Declaration address the most pressing problems of European rivers. Two of their demands are also considered by the WILDRiver category of the European Wilderness Network. 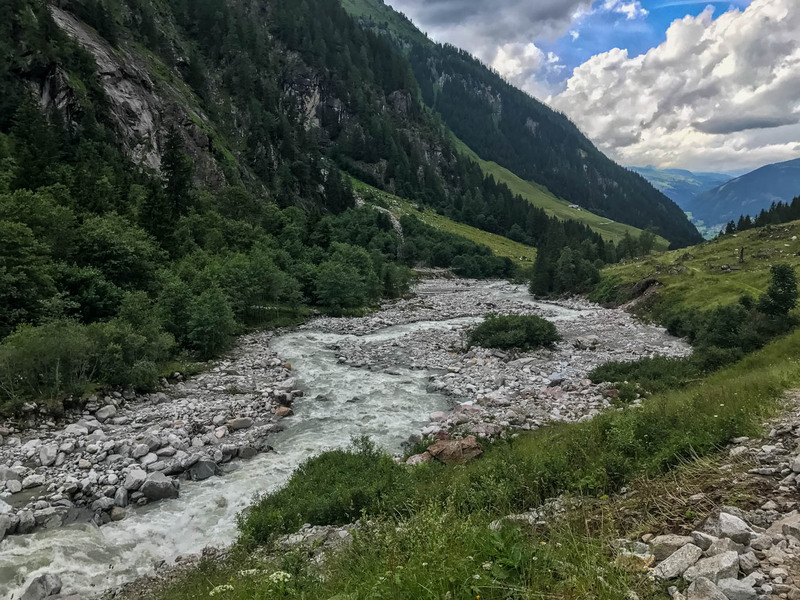 The European Wilderness Society is committed to preserving Europe’s last remaining pristine or near-pristine rivers with the category “WILDRiver”. The U.S. Wild and Scenic River Act is the basis for the criteria of the WILDRiver category. The current WILDRivers in the European Wilderness Network for example include the transboundary Thaya and Dyje WILDRiver on the border of Austria and the Czech Republic, and the Mala Uholka WILDRiver in Ukraine. Several rivers in the Balkans and Eastern Europe, such as the Vjosa river and Râul Alb river, are currently nominated to join the European Wilderness Network in the near future.